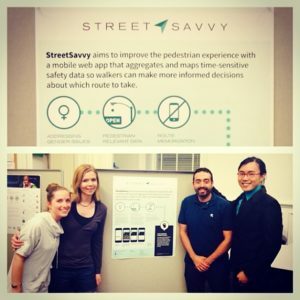 StreetSavvy is a mobile web-based mapping tool that aims to improve the pedestrian experience by helping users make informed decisions about which route to walk. 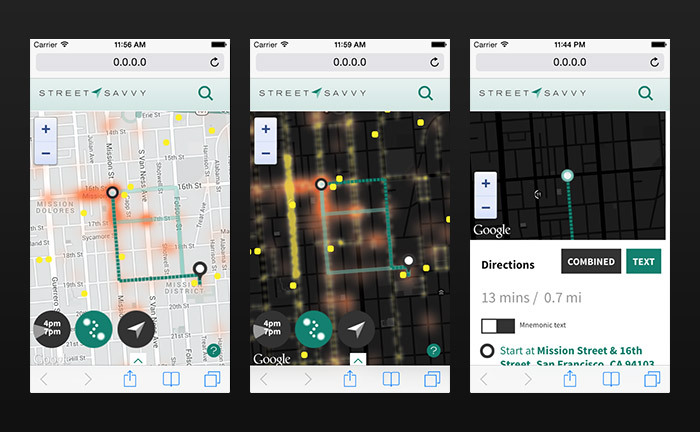 We created StreetSavvy based on the premise that existing mapping tools do not have enough information relevant for pedestrians who are concerned about safety. 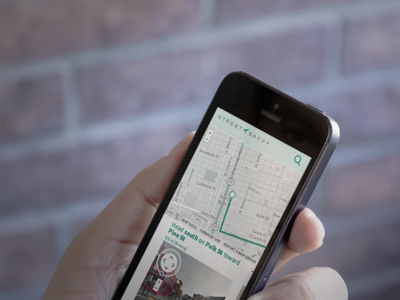 With standard Google Maps, users request walking directions between two defined locations and they are presented with a choice of three routes. But Google does not provide any additional information to help users choose between these routes aside from the time it takes to get from point A to point B. That may be enough information for some situations, but as we learned through our research, what is defined as “safe” or “not safe” is extremely specific to the individual, and changes frequently depending on situation. 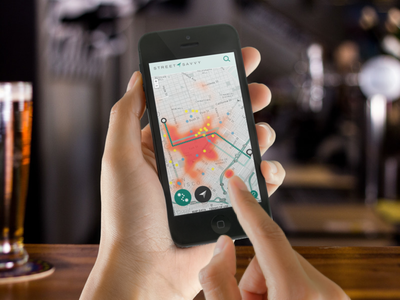 Unfamiliarity with an area, the time of day, the weather, the location of certain businesses, how many people you are with….all of these factors may influence whether a particular situation feels safe or unsafe. 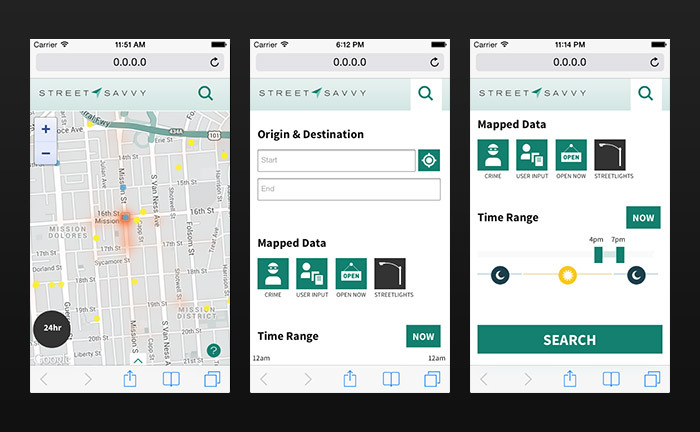 StreetSavvy was developed as a Masters final project and it won the 2014 Chen Awards in the “Enhancing User Experience” category.